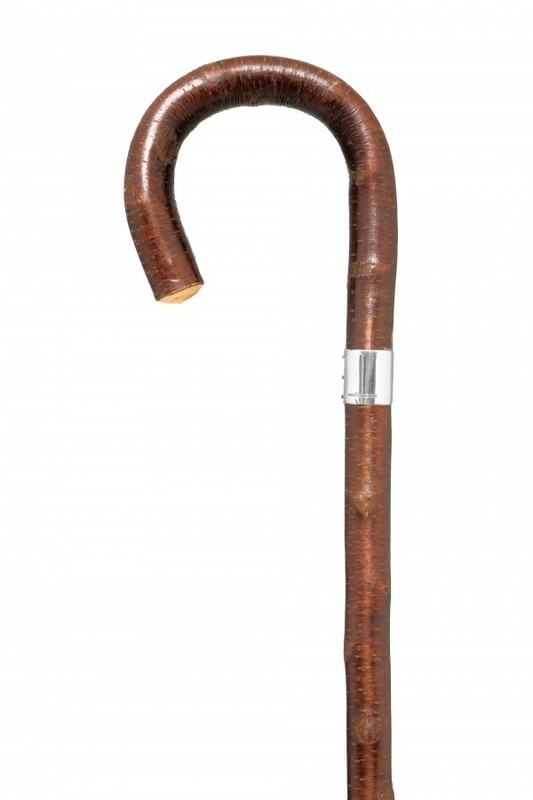 A traditional crook handle country stick made from an selected piece of coppiced cherry wood and fitted with a Sterling silver lap-band. 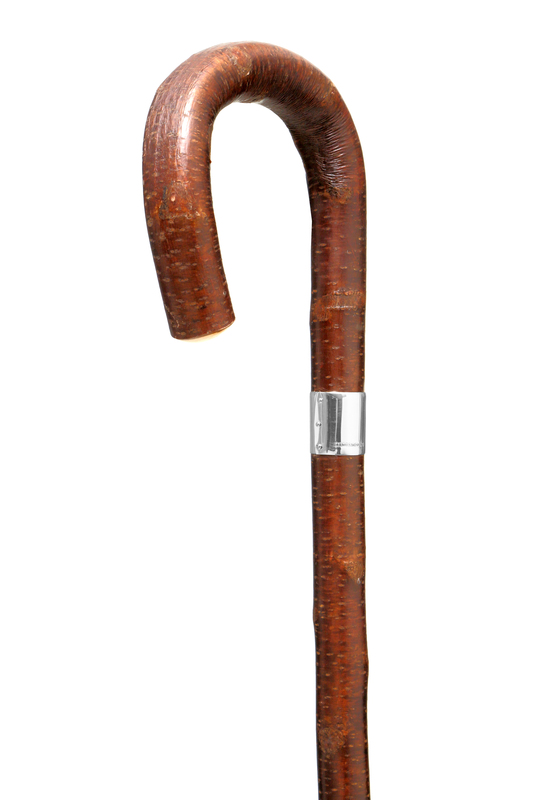 A deep red that darkens over time, the stick’s surface is soft to the touch providing an appealing grip for the hand. 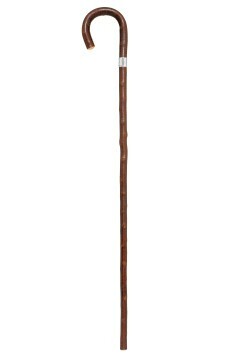 This popular walking stick can be cut to the appropriate length for the user and will be finished with a brass ferrule. 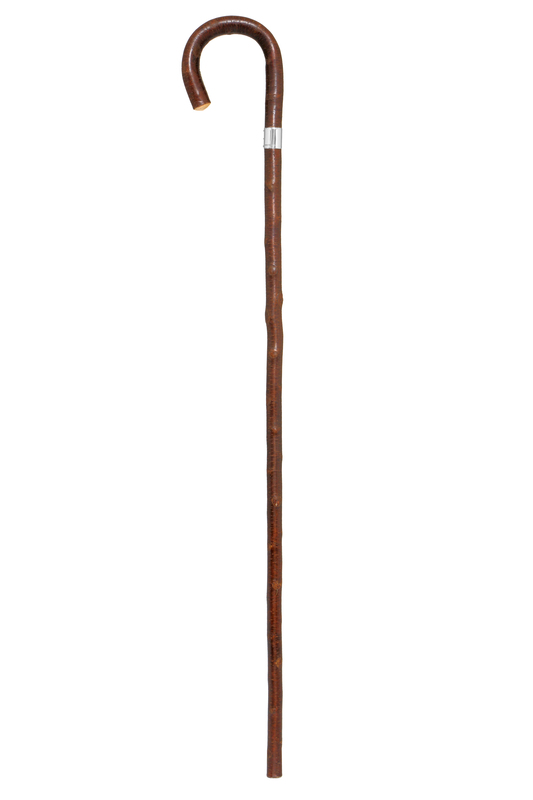 An additional bell-shaped rubber ferrule will be provided for extra grip on harder surfaces.